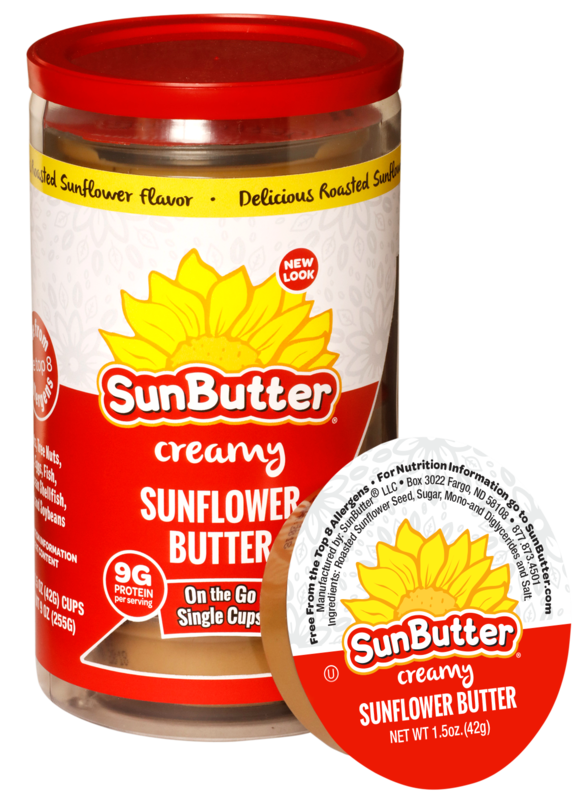 Delicious SunButter Creamy Sunflower Butter is now available in convenient single cups! 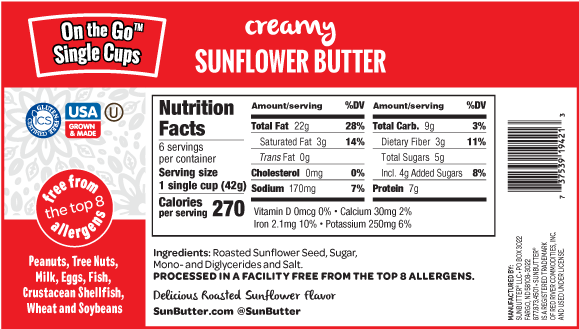 This SunButter variety is smooth and creamy. 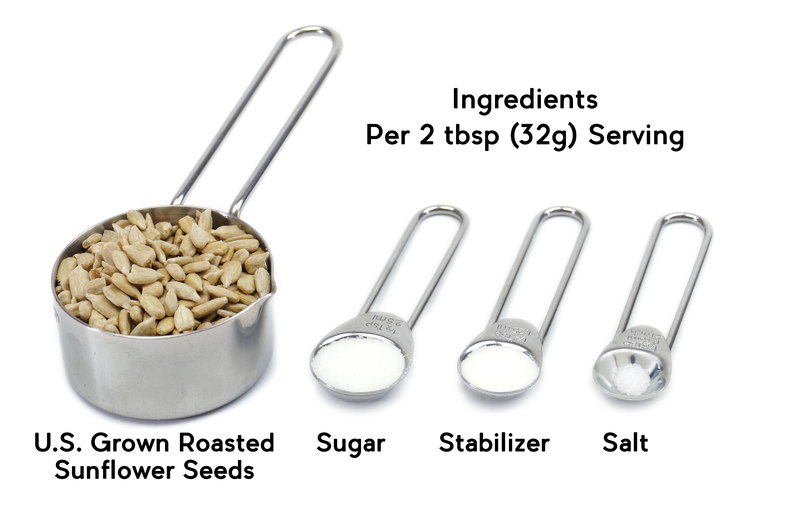 Each package includes six individual 1.5 oz cups with 9 grams of protein per serving – perfect for traveling, sending with kids to school, or for dipping your favorite snack!